On July 16, 1938, my father devoted most of his column to James Weldon Johnson, a true Renaissance man who died in a car accident in Maine on June 26 of that year. “Set to music by his brother Rosamond Johnson, its melody lingers in your ears. The only ‘blue note’ is that it is not heard more often from the lips of persons for whom the author wrote it,” he added. 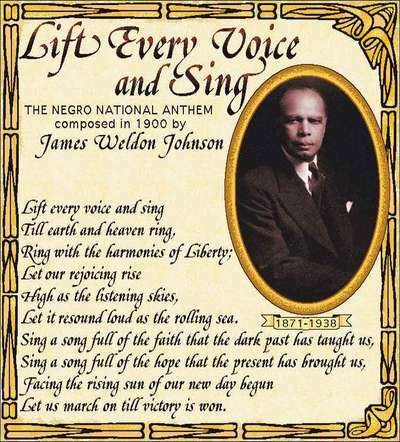 By the way, Cameron McWhirter, has an excellent column on James Weldon Johnson on The Root.